Pfc. 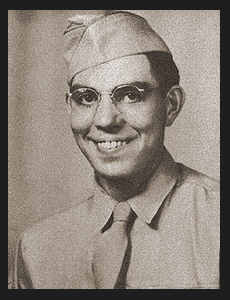 Merl A. McCormack, graduated from Tipton High School; husband of the former Dortha Biddy. Entered Army in April, 1944, trained in Camp Maxey, Md; served in England, France, Belgium, Germany and Luxembourg; was wounded in action in Jan, 1945 in Belgium. Awarded Good Conduct Medal, ETO Ribbon with four Battle Stars, Occupation Ribbon.